The Rev G. Vale Owen wrote a series of four books in the early 1900’s. Unbeknownst to many at the time, he added to the revelations about Spiritism, which commenced in the 1850’s by Allan Kardec. In the compilation of four books, The Life Beyond the Veil, more of the fantastic world that we shall, as spirits, return to was presented to us. 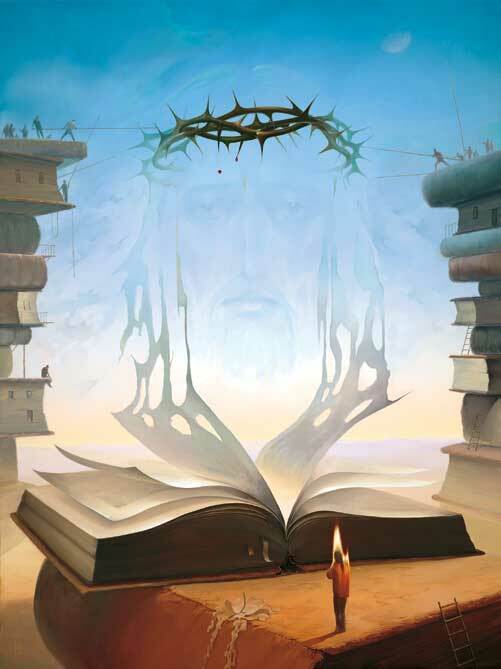 One of the most startling aspects of the book is the role of faith. Not faith as we know it, but faith as a real power, the ability to conjure. Far beyond any of our earthly fantasies. Spiritism burst upon the world in the 1850’s. In a series of questions posed to spirits by Allan Kardec, answers that came from multiple mediums throughout Europe, for Allan Kardec wouldn’t use just one response, but insured the communications were verified by multiple sources, he codified the Doctrine of Spiritism. In essence, we should follow the Golden Rule, do unto others as you would do unto them, in all things. The outward trappings of churches, rituals, rote prayers, dietary restrictions were all superfluous, all that is necessary is goodness of heart. Needless to say, this provoked an immense backlash from organized religion. The Catholic Church organized book burnings of Allan Kardec’s, The Spirits Book. Since that time there has been more information presented to us, most spectacularly via the mediumship of Francisco (Chico) C. Xavier, who psychographed more than 450 books, all dictated to him by spirits. Angels and other high spirits all with a mission to inform the humans on the planet the correct modes of behavior. Within all of the Spiritist literature I have read to date, I have never seen one mention of any bigoted ideas. We are told that spirits may incarnate as men or women, in different races, in different cultures, therefore we should be kind and understanding to all. That marriage is between two spirits, not just a male and female. The length of time they are together is up to them and them alone. Despite the resistance by organized religion, the Supreme Intelligence pushed on and continued to send to us information about our future life as spirits. So that we may learn what is coming and why we are here in our frail physical bodies. We seem so weak and vulnerable, any adverse chain of events could wipe us off the planet at any time. But we must realize that our perceived weakness is part of the plan to prepare us. Actually, we are immortal souls, unable to die. Only our temporary body has the composition to degrade. Our spirit is indestructible. We are here on this terra firma campus to mold our minds to be as perfect as our spirit bodies. We are deliberately placed on a sphere with a thousand distractions so that we may educate our minds to ignore and filter out destructive thoughts so that we eventually acquire the ability to focus our concentration in any situation. Our first step is to find our way toward faith. With faith we keep our attention on a bigger theme, a target superior to our daily worries and anxieties. Faith allows us to build a shield against destructive feelings. Conviction in a higher purpose acts as a ruby does to concentrate light from one of the first lasers. Haven’t we all tried to move objects with our minds. A pencil or a feather, maybe we cheat and blow air to move it. Invariably our experiments result in abject failure. We find out we can’t move anything with our minds. So what the heck was Jesus talking about? Jesus was foreshadowing our future. Not on earth but as a spirit. Not a low spirit, but a high, educated, pure spirit. 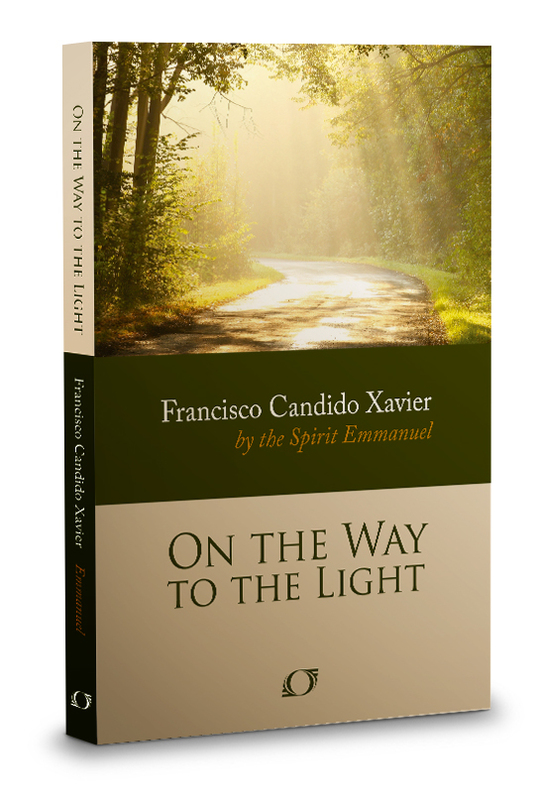 I first encountered the immense capabilities of the Spirituality when I read the book, On the Way to the Light, psychographed by Francisco C. Xavier, dictated to him by his spirit mentor Emmanuel. The book is a survey of how the spirit realm has guided our planet from its formation. In the book, Emmanuel tells us that a Community of Pure Spirits govern our part of the Universe. They have met in the vicinity of earth only three times, first when the planet was being formed, second when Jesus came to us, and Emmanuel hinted of a third meeting that would be coming soon. On the Way to the Light, was published in 1939, I have heard there was a third meeting in the 1960’s time frame where the future of our sphere was discussed. 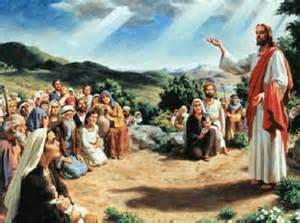 “In that computation of cosmic values, in which workers from the spirit plane labored under the merciful guidance of the Christ, the formation of earth’s satellite was ordered. At first glance the passage seem to mean that extremely high level spirits actually assisted in the building of the moon and somehow they pushed the moon into the correct orbit around the earth. Exactly how this marvel of engineering was accomplished, I had no idea. Subsequently, as I read more books which revealed the capabilities of high spirits I began to see how the mind of a spirit coupled with the twin attributes of faith and knowledge could achieve, what we on earth, would consider to be miracles. Spiritism explains to us there are no such thing as miracles, only phenomena which we can’t explain, but are self-evident to the wiser spirits. 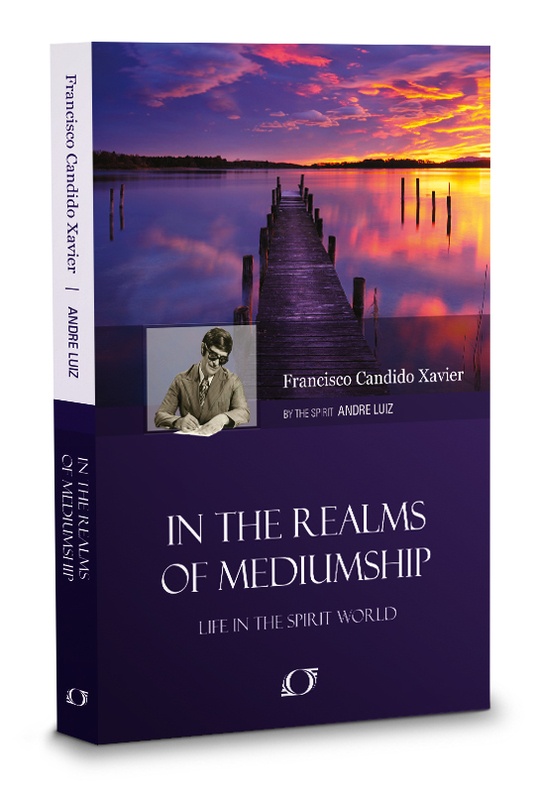 One example of the possibility of the manipulation of matter comes from a passage I read in the book, In the Realms of Mediumship, psychographed by Francisco (Chico) C. Xavier, there is a discussion of transporting matter created in the physical plane via spirits. During a mediums meeting spirits in attendance took flowers made from ectoplasmic material and carried them through walls in our plane. Hence, a spirit via the powers of their mind, along with an understanding of the Divine Laws, is able to deconstruct a solid object and remake it at their will. A process that in some future date, we shall be able to reproduce with complex instruments, while learned spirits can accomplish the same feat with their will. This is why we are on our beautiful planet. We are being groomed to use our powers for the benefit of all. Learn all about the spirit world and how they prepare us, in life after life to one day graduate to be a pure spirit in my book, The Case for Reincarnation – Your Path to Perfection. My epiphany struck like a bolt of lightning when I started reading the Reverend G. Vale Owen’s book, The Life Beyond the Veil. In Book Two – The Highlands of Heaven, a spirit who resides in the tenth level of heaven, named Zabdiel. The tenth level implies the sequence of stages above the earth. Each planet has their own circles of hierarchy which span outward from each distinctive sphere. Zabdiel is sent to see how a family is faring. 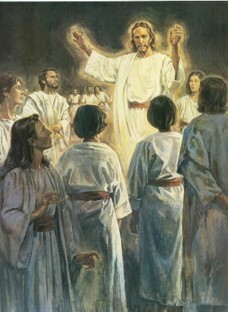 The husband and wife, who have ascended together, are taking care of children. Spirits, in juvenile form, who didn’t survive long after birth and require nurturing before they are sent back to trial on our world. He surveys the playing children. “One little man drew near me and began to play with my belt, for its brightness pleased him, and he was inquisitive of its metal. So I sat on a little grass bank, and took him on my knee, and asked him if he would choose what pretty thing the belt should bring him. He was doubtful of my meaning at first and, following, of my ability. But I repeated my invitation, and he replied, “A dove, please you, sir.” That was very polite of him, and I told him so, and that when little boys asked in such ways, trusting and believing, then they always got their will, if that will was pleasing to our Father. Zabdiel, who is a high spirit, but not on the level of a spirit like Jesus has the power to the basic building blocks of the Universe (known in Spiritism as Universal Fluid) and create, not just an object, but life. Life out of nothing, fully formed and functioning. Only in our fantasy literature would such a scene occur. It was then I understood that as a spirit progresses their ability to guide the Divine Forces increases, until they possess, in our estimation, to be God-like powers. 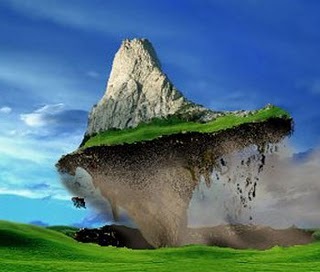 Power to not only move mountains, but to construct entire ranges by focusing their will. “According to your faith be it unto you.” This stands a promise of power today as when first He said it; and it may be claimed with full assurance of fulfillment. Only that faith must be present, and then the present enablement will be manifest, in ways diverse but with no uncertainty of cause and effect. Faith is the keystone, but it must be surrounded by all of the attributes of the Golden Rule; Love, Charity, Fraternity, Forgiveness, and Honesty. Without the supporting foundation, faith is not sufficient to unlock the potential within each of us to materialize our desires, since our intentions must be pure and void of any selfishness before we are granted such command. The circle is complete when we learn to practice total control over our emotions, while in the physical world, and apply our loving will in a professional manner in the spirit realm. Only then, after a multitudes of lives, painfully mastering our character and attitudes, can we graduate to a position of responsibility to be entrusted with such might. When we were children we would dream of having overwhelming power to perform great events. Those dreams of conjuring something out of nothing are visions of a distant future. We should not let go of our childhood aspirations, we ought to mold them into a strength of purpose to fashion our deepest intentions into energy for good.